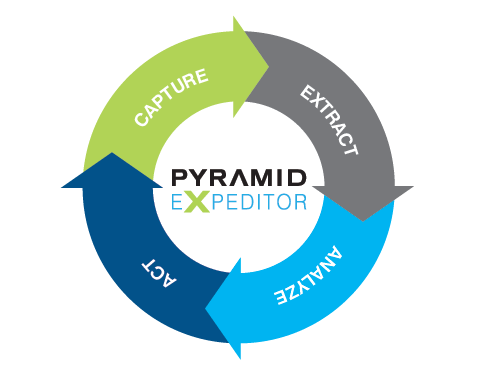 Pyramid eXpeditor for Case takes any IBM Case Manager solution to the next level with enhanced content-processing capabilities and tools. Empower your greatest asset — your employees — and achieve exceptional business results by intelligently managing information. Give your employees an interface that works for them. 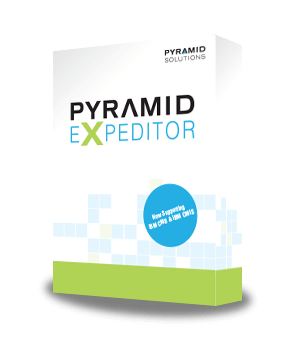 Pyramid eXpeditor for Case combines essential tools into a single interface so your employees perform as efficiently as possible. Users can instantly see and understand their workload, dive into case content and client information, communicate in real-time with colleagues, and most importantly, inform their managers when tasks are complete so they can assign new tasks to keep the business humming. You may just have to see this to believe it. 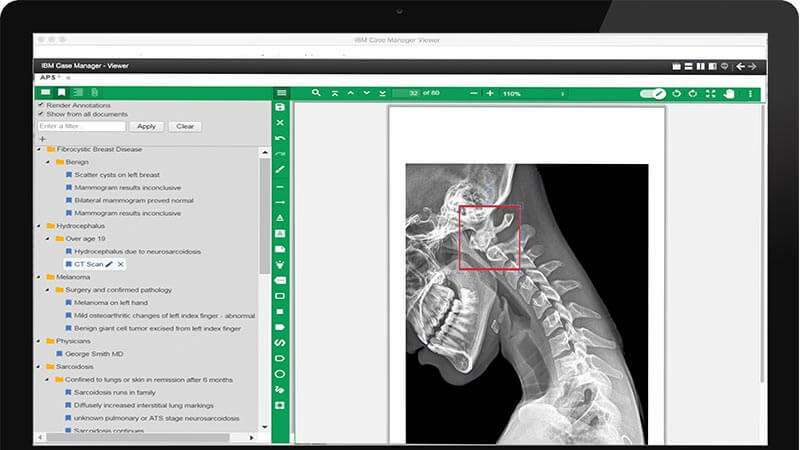 The high-speed bookmarking viewer displays documents and images as fast as they load so you can browse, search for words, and manage annotations sooner. 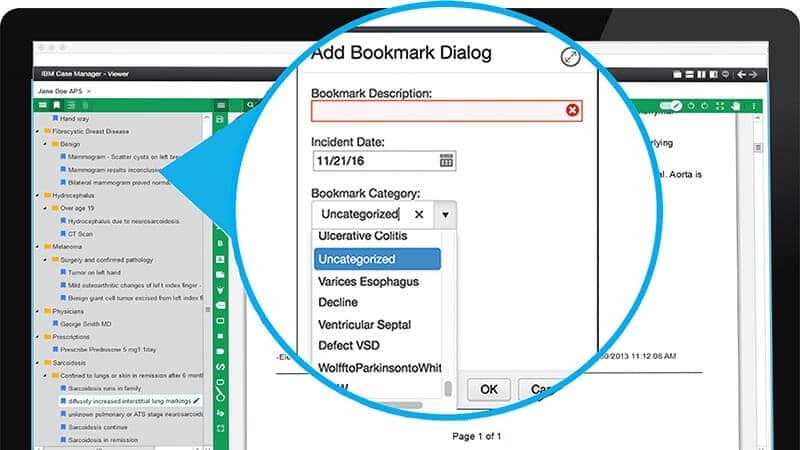 Our unique bookmarking capability identifies key document information and provides one-click access so you get answers fast. Provide users with a single reference point for all the steps and documentation needed to complete any task within a process. 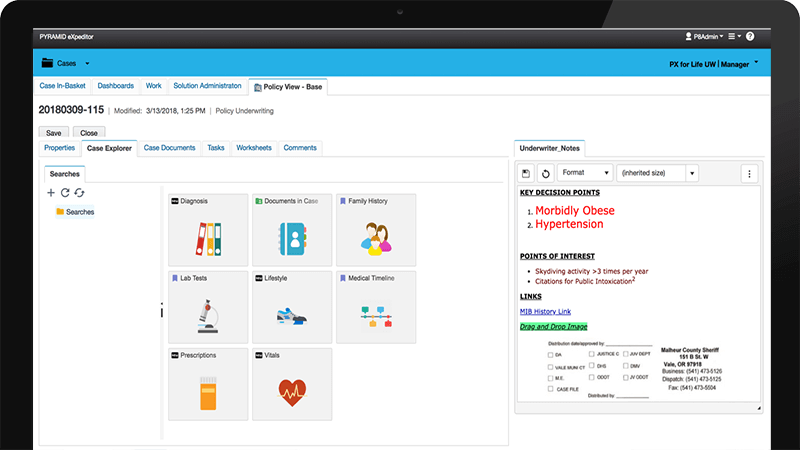 Our interactive checklists group prescribed checks, tasks, actions and internal comments while triggering workflows. Record any actions and decisions taken to increase visibility and control. Our NEW cross-repository search function helps you find documents, folders, bookmarks, tasks and more deep in the roots of your IBM P8 and CMIS repositories. You can also configure searches to render results in graphical or tabular reports. Easily split documents into two or merge documents together to create and send a single file directly within IBM Content Navigator’s interface. 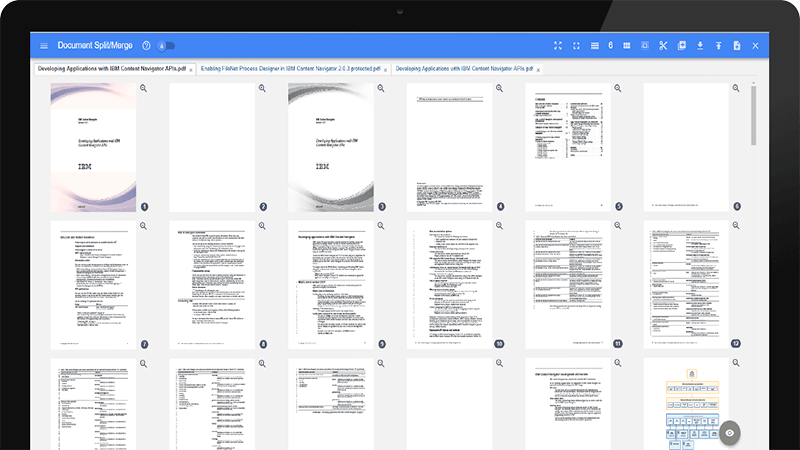 You can also rotate, rearrange and remove individual pages then publish the new file. Painlessly take free-form notes directly within the case you’re working on. You can use the notepad as a free-form space or customize it to give users an outline to follow. When you’re done taking notes, easily publish them directly to the case. Automatically extract and categorize key document information so you can make informed decisions sooner. 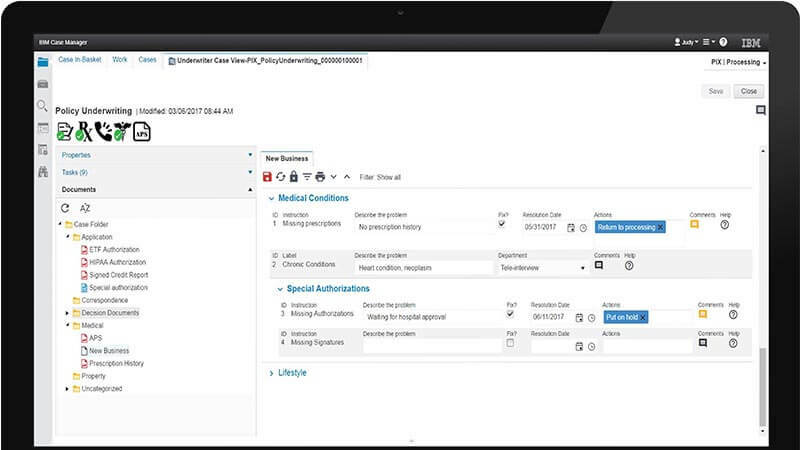 Authorized users can configure the categories so you stay in front of changing business requirements. Download full features list here. 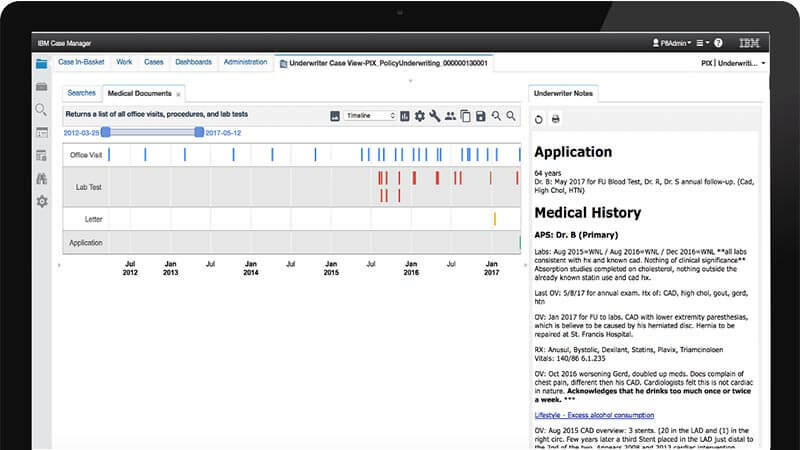 Pull unstructured data directly from incoming documents. 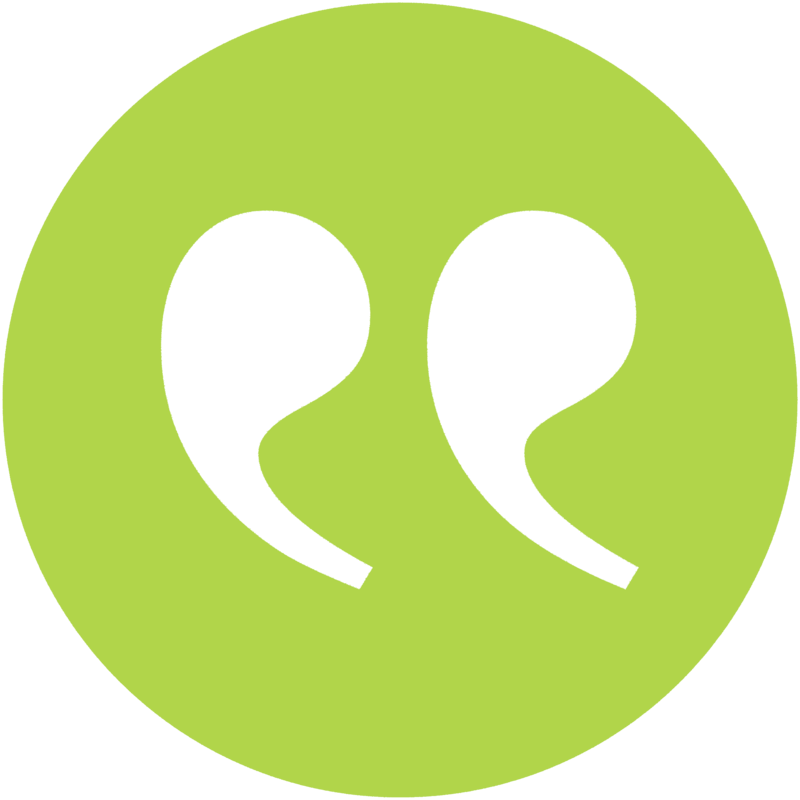 Only extract relevant data so your system is clean and up-to-date. Get work done with built-in processing tools. Compare how document viewers stack up against Pyramid eXpeditor. Ensure you have the right strategy in place for enterprise success. Watch how to effortlessly split and merge documents.